If the last picture of the HTC DROID DNA that leaked last week was too small for your liking, then feast your eyes on this big beauty. 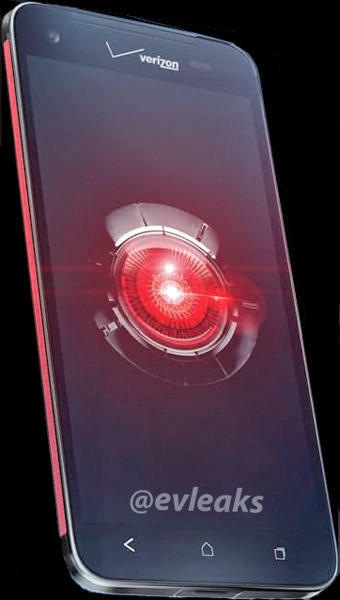 Nothing new is necessarily revealed, but we do get a closer and cleaner look at the bottom port, red striping up the side, front camera placement, hardware navigation buttons, DROID red eye, and big 5″ 1080p display. It looks nice. The phone should definitely be a beast, we’re just wondering what HTC is going to do to get customers to buy it over the Galaxy Note 2. Samsung has moved beyond hardware and into fine-tuning their software to help sell devices, however, HTC hasn’t shown yet that it is willing to do that. Sure, the 1080p display is the first of its kind and will likely look incredible, but is a 1080p display enough to win your vote?